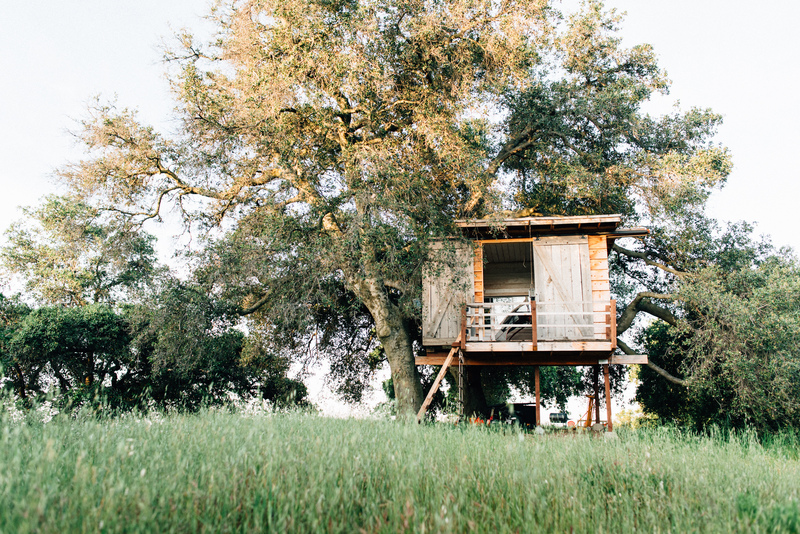 Sleeping and waking up in a treehouse is truly as magical as it sounds. 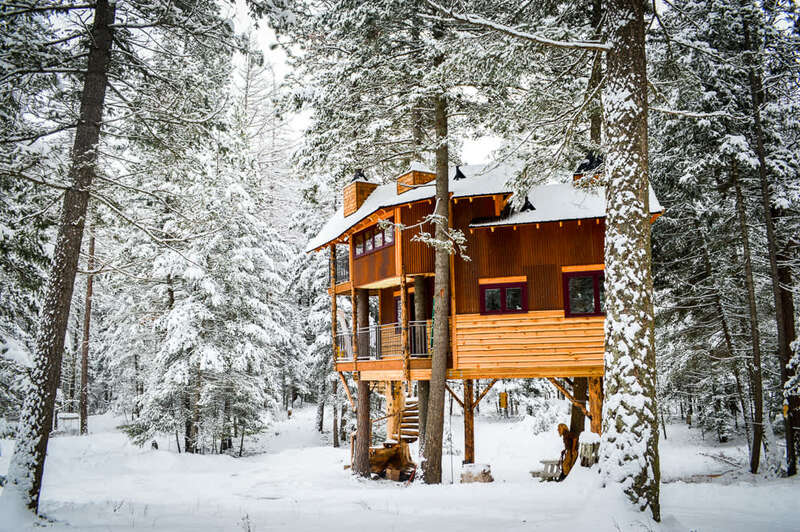 So instead of a fancy dinner or a box of chocolate this Valentine's Day, find some romance in the woods at one of these treehouses. 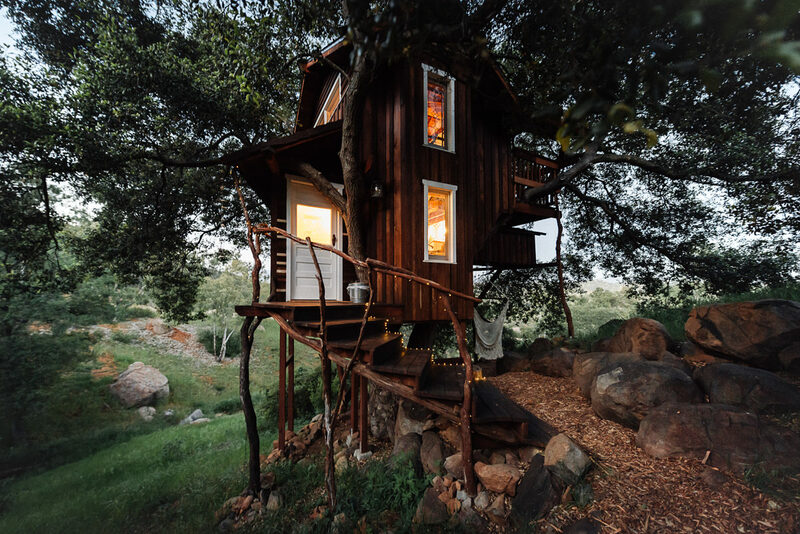 The two-night minimum at this masterfully crafted treehouse outside of San Diego encourages visitors to truly indulge in a romantic getaway. The treehouse comes with a dreamy wood-burning hot tub, a hammock perfect for afternoon snoozes and spectacular views of the San Diego mountains. And to make this experience extra sweet, there are honey bees on the property. For adventurous couples, this double-decker luxury house is situated at the gateway of Glacier National Park and just minutes from the slopes of Whitefish Mountain Ski Resort. After a day of riding, you can sleep fully immersed in the woods with two trees sprouting up through the middle of the house. Set up 14 feet high in a fairy ring of redwood trees is the ultimate romantic retreat. This getaway, just outside of Santa Cruz, is stocked with everything you need for a comfortable night in the woods, from a large, comfy king bed to books and board games. This quiet, peaceful and private mountaintop ridge at the Ojai Treehouse offers expansive views of Ventura, the Pacific and Channel Islands. 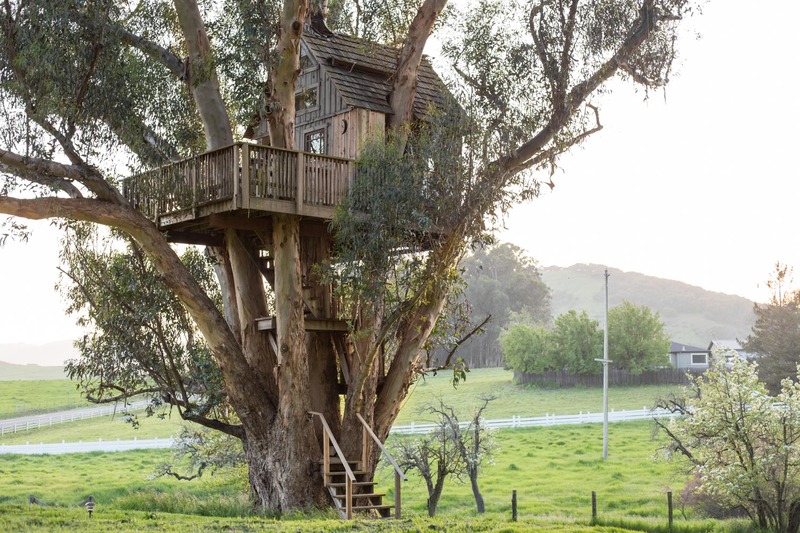 This charming treehouse is nestled within a eucalyptus grove just minutes from historic downtown Petaluma—an easy drive from San Francisco, excellent breweries, vineyards, redwoods, the shining Pacific Coast and incredible Point Reyes National Seashore. 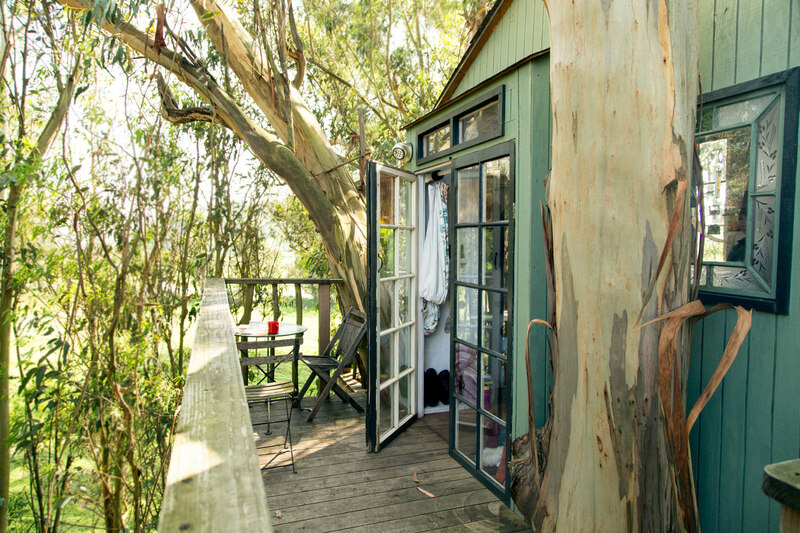 The equally delightful Treehouse Magic Grove Studio is on the same property as the Treehouse at Swallowtail Studio. Like it’s neighbor, it is built into a 110-foot eucalyptus tree and also promises a memorable, magical experience. 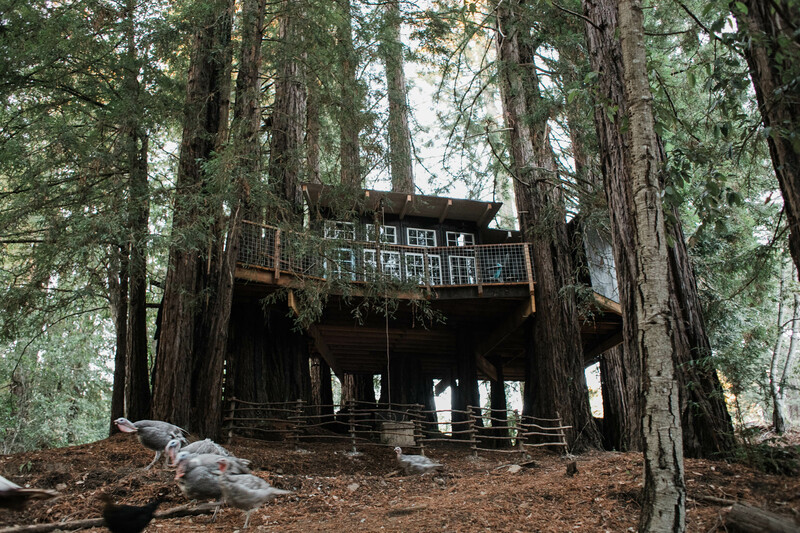 The legendary Eagle’s Nest Treehouse in Bodega Bay, California, gives you the chance to sleep ensconced in a magical redwood forest only a few miles away from the Northern California coast. 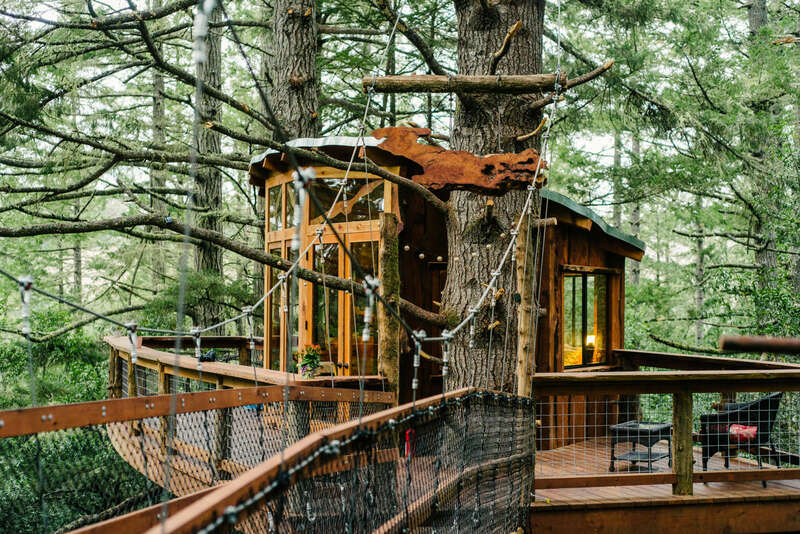 If you’re trying to make a weekend trip out of this treehouse, expect to plan well in advance. It is only 90 minutes from San Francisco, though, making it an easy weeknight trip. 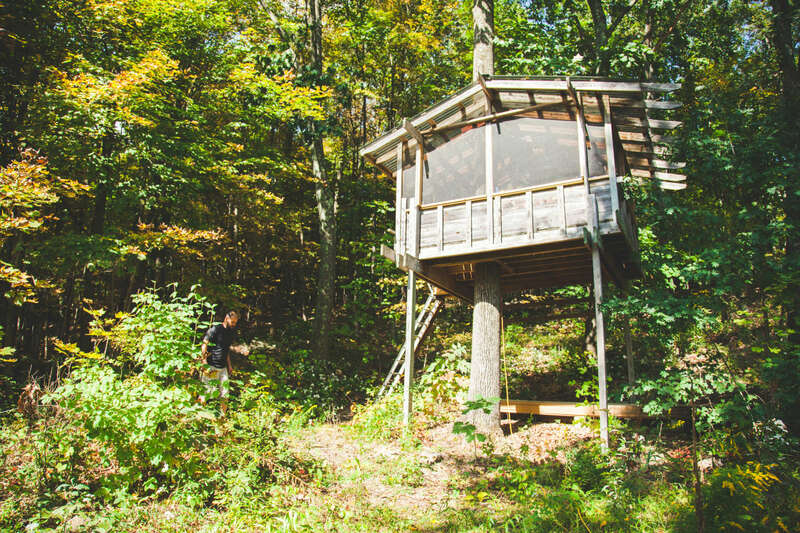 This treehouse is perched on an organic herbal farm and animal sanctuary in New Hampton, New York, where you can practice yoga—with goats, no less—and attend intensive farming workshops and healing workshops to support a thriving, holistic lifestyle. Did we mention you can do yoga with goats?! Eagle's Nest says "This camp is temporarily closed. NOTE: THIS LISTING IS NOT ACCEPTING RESERVATIONS UNTIL FURTHER NOTICE."